Rearranging furnishings and accessories you already own is a favorite budget-friendly tip for living spaces. 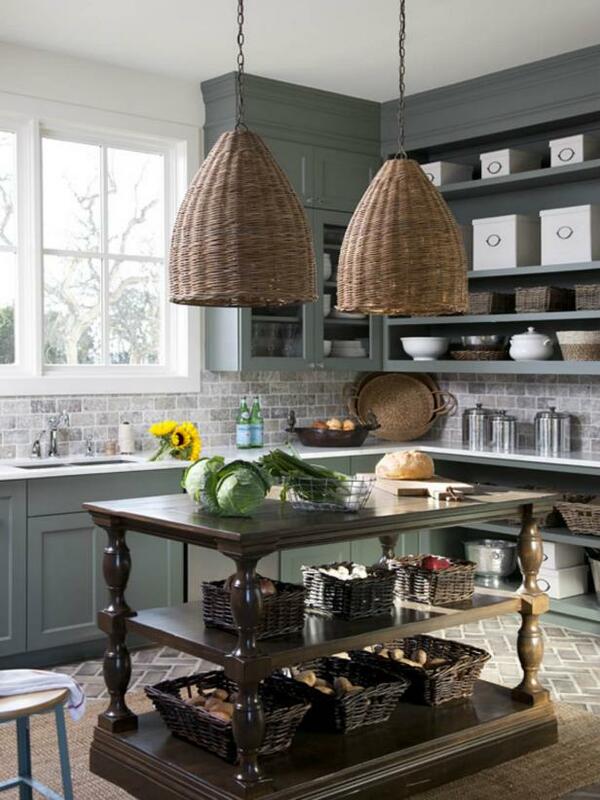 Of course, cabinets and appliances make kitchens a little more, well, permanent. However, it doesn’t mean you can’t move things around. 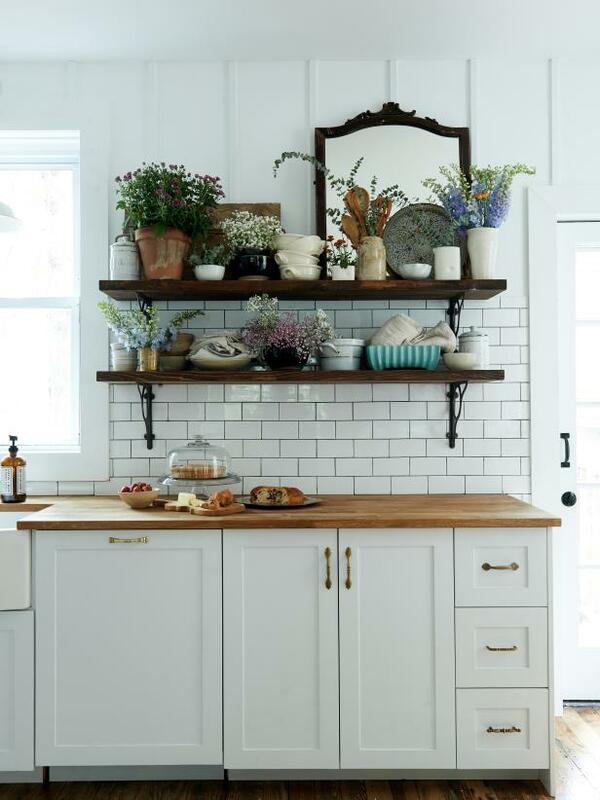 Take everything off your countertops and remove any furniture, such as china cabinets, moveable islands or butcher blocks, and play with a new arrangement. 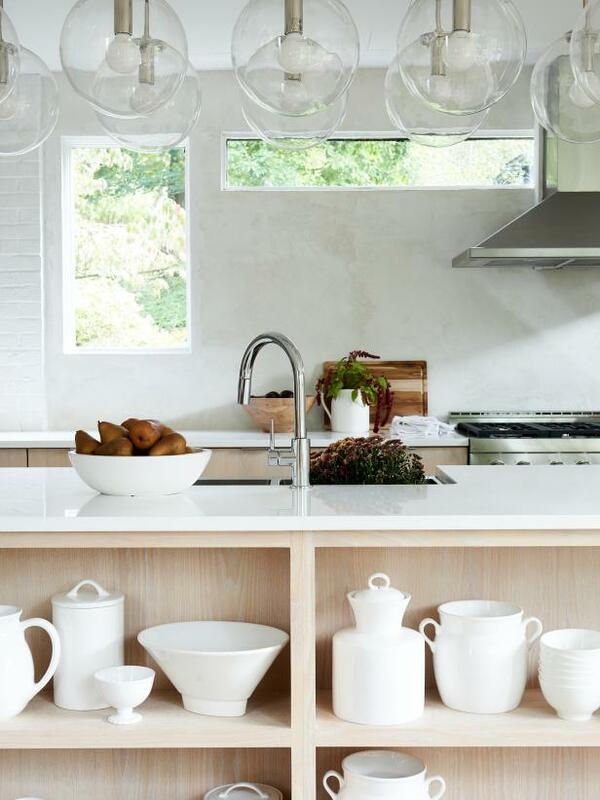 Bonus points for decluttering countertops and open shelving, which instantly refreshes your space. Speaking of rearranging, don’t forget to look inside your cabinets and pantry. See how you can make your space work for not against you. Move the glasses closer to the refrigerator or silverware in the drawer under your plates. 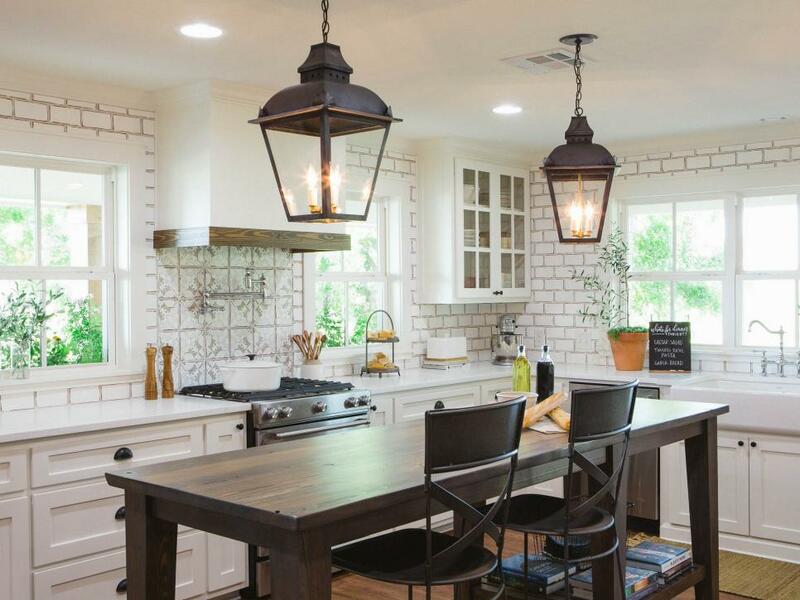 Laying out your kitchen in the most functional way possible doesn’t cost you a dime. Also, look for simple, inexpensive updates that go a long way. Add a divider to separate your pans or install pullouts to make the most of your deep cabinets. Freshly cut blooms from your yard combined with potted plants guarantee a homey, inviting atmosphere. Just like your bookshelves in your living room, you can create beautiful eye-catching vignettes on open shelves in your kitchen. Gather lovely accessories, greenery and a few kitchen essentials to add personal style to the heart of your home. We’ve long ago reembraced wallpaper and the major style points it can add to any space in your home — especially in a concentrated dose. 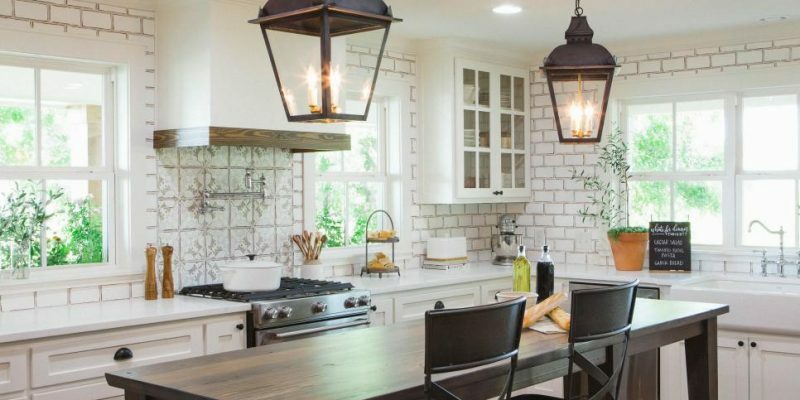 Cover one wall to create an accent piece that adds panache to your kitchen. Make use of leftover wallpaper from another project or invest just a bit of money. If you’re covering a small area, it won’t break the budget. This country chic kitchen has floor-to-ceiling cabinets in a soft green that look even better paired with this vintage floral wallpaper. 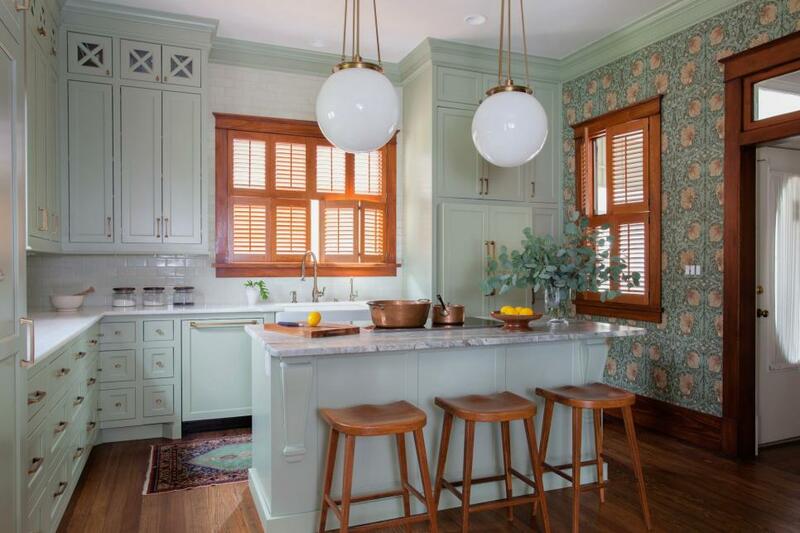 Adding rich color in small doses makes a big impact while keeping your budget low. 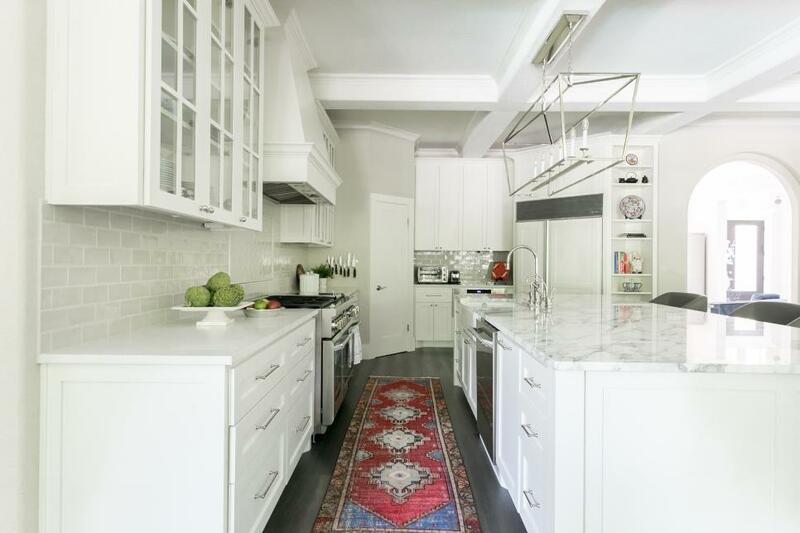 Not only does the saturated runner bring much-needed color to this all-white kitchen, it adds softness underfoot — especially important in front of the stove and sink where you spend a lot of time standing.